It is with great honor and exceeding esteem that through a partnership with the Eugene Poole Gallery, LLC, Youth of Honor presents the Rev. 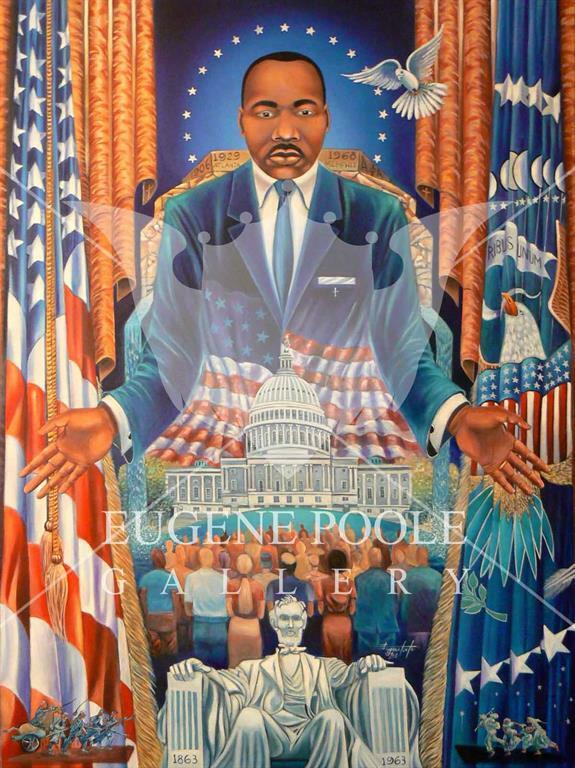 Dr. Martin Luther King, Jr. 'Prophet of Hope' commemorative print series which honors the legacy of a Civil Rights pioneer who is the first and only African-American to be memorialized and permanently enshrined on the National Mall Tidal Basin in Washington, DC. This commemorative print is a true Collector’s Series Edition that will continue to accrue in market value around the world and as a personal family heirloom. This is a one time public offering which allows you to own this historic piece while knowing a portion of your purchase supports the Youth of Honor Be A Giant program. Each print ordered comes with a Certificate of Authenticity issued by Eugene Poole Gallery, LLC with an image size of 22" x 32" on a 24" x 36" print so you can easily frame and proudly display. With only 20,000 total prints being made available, in three different formats, we encourage you to order your print today before they forever become a historic collectors piece. Limited Edition – A limited number of identical prints numbered in succession and signed and supervised by the artist. Any additional prints have been destroyed. Artist's Proof (AP) - Proofs are prints authorized by the artist in addition to the limited signed and numbered edition.The artist's proof is sometimes referred to by its French épreuved'artist (abbreviation E.A.). Artist's proofs can be distinguished by the abbreviation AP or E.A., commonly on the lower left of the work. Remarque – Additional enhancements by the artist on some or all of the final prints within an edition.